At 100% Effective, we practise what we preach. That’s why we are continuously looking for ways to improve our products and services, and exceed our customers’ expectations. 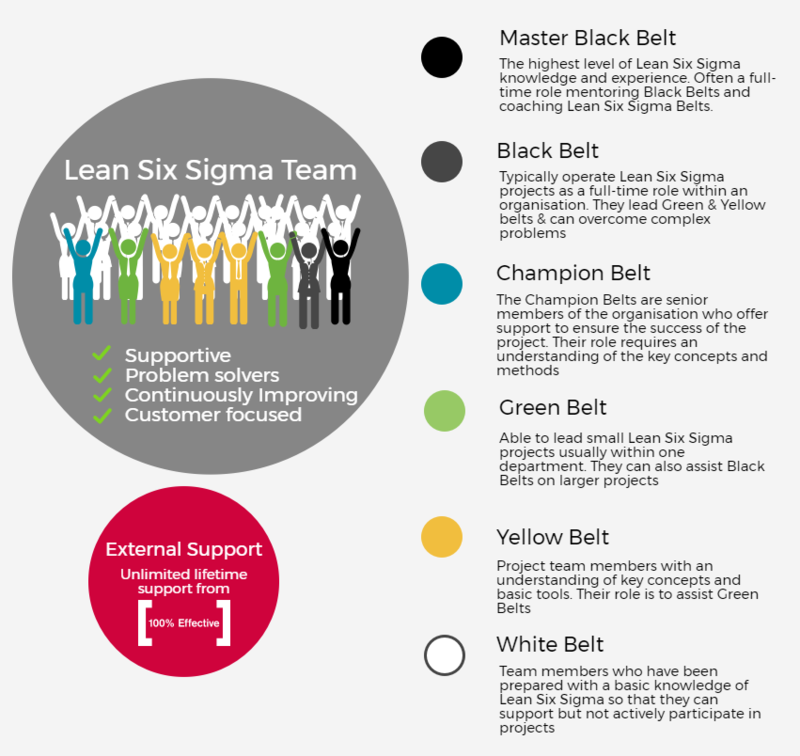 This dedication to Continuous Improvement has led us to make some new and exciting changes to our Green and Black Belt Lean Six Sigma training that we think you’re going to love. Since July this year, 100% Effective now offers free online courses to colleagues of Green and Black Belts. 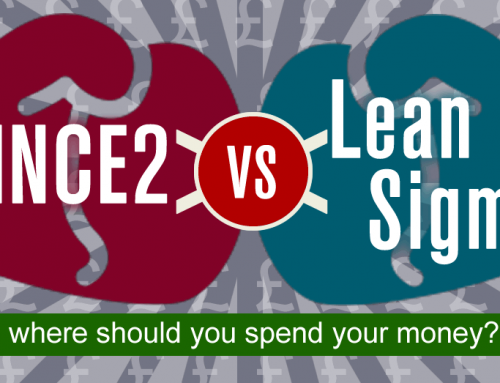 This addition to our Green and Black Belt training is not just about offering you more for your money (although it does represent unbeatable value for money). It came in response to a genuine concern we have for our delegates. The projects undertaken by Green and Black Belts can truly transform a business. They rid companies of deep-rooted problems and implement changes that can save a company significant amounts of money. But such transformation rarely comes easy, particularly if there is a lack of support from those within the organisation. 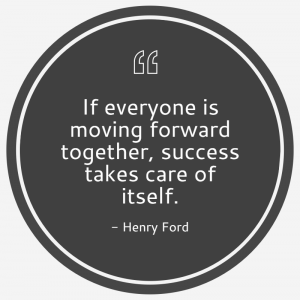 It is for this reason that our Lean Six Sigma training uniquely includes Change Management modules. While not conventionally part of the Lean Six Sigma curriculum, we consider it vital to arm our delegates with both the soft and technical skills they need to introduce change successfully and sustainably, and gain the buy-in they need. We also offer our lifetime support, giving delegates unlimited access to expert advice to help them through the challenges they face. However, we realise that this may not be enough. One of the first and largest hurdles Lean Six Sigma delegates face when returning to their workplace is generating understanding and support for their projects. While our delegates are armed with Change Management skills, it is still a significant challenge to face alone and one that can only be solved by internal support. So, the question was posed: what can we do to encourage this internal support and give our delegates every chance of success? The answer was to kick-start a culture of Operational Excellence in our delegates’ workplace by offering free certified training to colleagues. 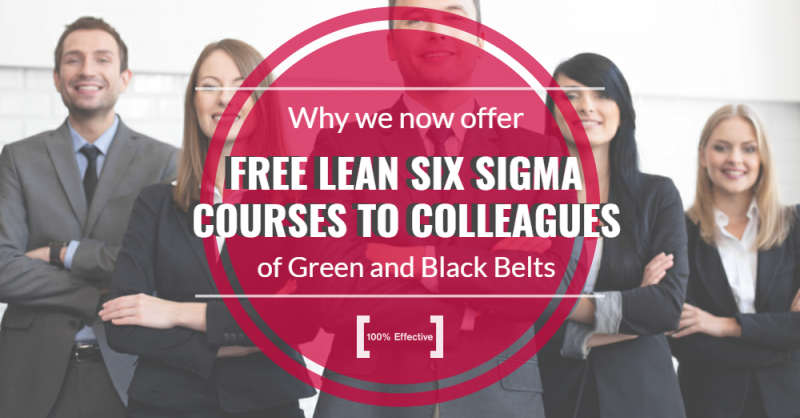 By doing so, our Green and Black Belt delegates can return to the workplace and hit the ground running with a ready-made Lean Six Sigma team. The condition of this offer is that colleagues must take the free training in the same period of the Green or Black Belt. For the Green Belt, this means their Yellow Belt teammate will be ready and waiting to play an active role in their department-level improvement initiatives. Likewise for the Black Belt, this means that their supporting Yellow Belt will be ready to assist their projects and will have a Champion on hand to offer the all-important influence and support required. And for everyone involved, this simultaneous training means an understanding ear and another level of support through the sometimes difficult process of training. 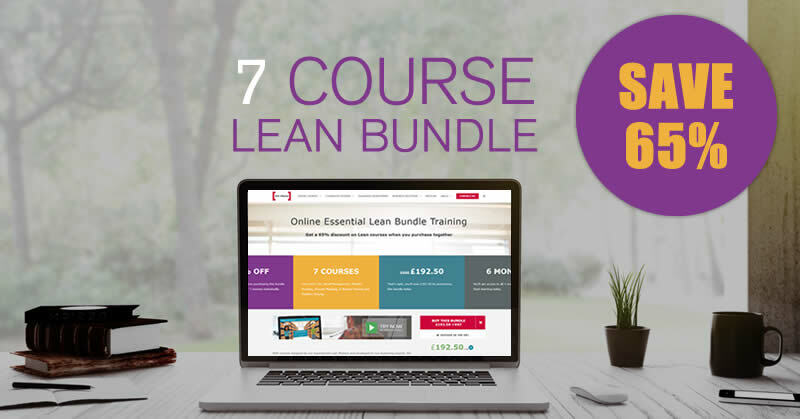 This offer may also help those building a case for taking a Green Belt or Black Belt course, as this free training means increased Return On Investment for your employer, at no extra cost. 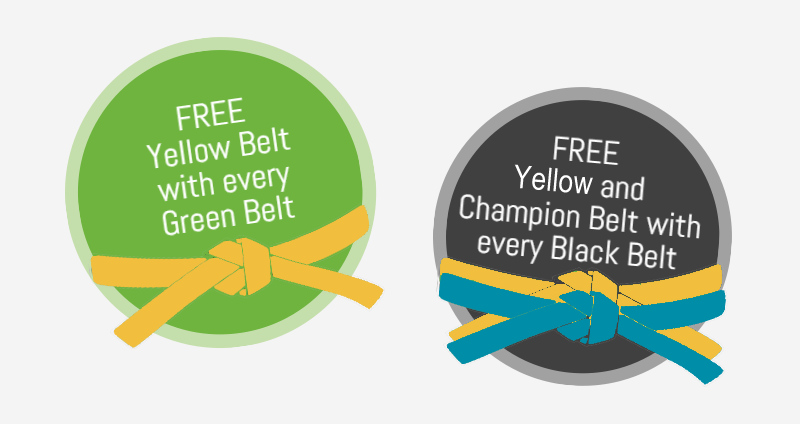 With a Yellow Belt training showing a typical ROI of 3:1, Green Belt 5:1 and 7:1 for Black Belts, the value of this offer means your employer will be getting significant bang for their buck. The supported Green and Black Belts will have increased project success and therefore ROI, and those receiving the free training will generate significant financial savings without having paid any initial investment! We pride ourselves on providing the highest level of quality and support and believe that offering free certified training for colleagues is yet another way we can achieve this. We are looking forward to seeing an increase in project success and supporting a new generation of Operational Excellence teams. Want to know more about this new addition to our Green and Black Belt courses? Simply click the button below to discover more details behind why and how to make the most of this offer. As our Assistant Marketing Manager, Sophie makes it her mission to spread the word of Lean Six Sigma in ways that are engaging and relateable to all readers, from beginners to Black Belts.